Brad Bath is a Principal of Avalon Legal Search where he focuses on the placement of partners and partner groups with leading law firms. Since he first began legal recruiting in 2005, Brad has placed numerous partners, partner groups and practice leaders, and has assisted major law firms with establishing and developing new offices. 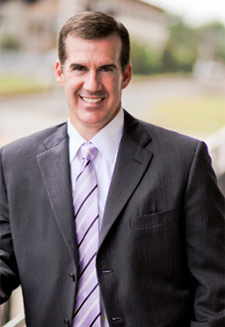 Brad also has significant experience placing associates of all levels as well as in-house counsel. Originally from the oil patch of West Texas and the home of “Friday Night Lights”, Odessa, Texas, Brad has lived in Houston since 1993 and now calls Houston home. Brad graduated from Texas A&M University with a B.S. in Economics in 1992, and he received his law degree from South Texas College of Law in 1996. Prior to legal recruiting, Brad was a trial lawyer with a prominent commercial litigation boutique in Houston where he represented both plaintiffs and defendants in high stakes, high dollar commercial litigation. Brad is an avid golfer and huge football fan. When he is not busy recruiting, you might find Brad at the golf course or watching a football game; or perhaps at the soccer fields, tennis court, ballet studio, swimming pool, ice skating rink or one of the many school functions and fund raisers at St. Vincent de Paul School. Brad is married to a radiologist who works at M.D. Anderson Cancer Center, and they have two beautiful daughters who, as you can see, keep them very busy and active in the community.